Our second guest blogger, Sara Grant, founder of Undiscovered Voices and author of Dark Parties, Half Lives and the Magic Trix series, writes about the power of determination and keeping the faith. I’m as proud of the success of Undiscovered Voices as I am of at long last seeing my name on the spine of a book. In 2006 when Sara O’Connor and I dreamed of creating the anthology, we hoped that one writer might get a book deal. How wrong we were. From the three previous anthologies, 22 of the 36 selected authors have received publishing contracts for more than 70 books. These authors have been nominated for and won an amazing array of literary prizes: including the Carnegie Medal, Waterstone's Children's Book Prize, Branford Boase Award, Blue Peter Award, the SCBWI Crystal Kite Award, and nearly 30 regional awards. Every other year, I look forward to the Undiscovered Voices launch party. I beam like a proud parent at the new class of writers – and now illustrators – that have been selected. At the party last year, someone came up to me and asked if I was ‘the fixer’. It took me a moment before I responded, “Well, yes, I am!” What they meant – and what I spent that evening doing – was introducing writers and illustrators to interested agents and editors. Undiscovered Voices has exceeded my wildest expectations. But I want to spend a bit of my blog talking about failure. "Undiscovered Voices has exceeded my wildest expectations." I often say I should be the publishing poster-child for ‘never give up’. I wrote my first story for children when my niece Megan was born. I signed my first book deal the year she graduated from high school – so seventeen years later. This is also excellent advice for writers. Don’t put your literary eggs in one basket. Don’t pin all your hopes and dreams on one story – or one competition. "Don’t put your literary eggs in one basket." I’ve heard writers say things like ‘I’ll give it a year’. Please don’t. Even when you finally write that saleable novel – the wheels of creation and publication do not turn swiftly. I started writing my debut novel Dark Parties in 2007. I got my agent in 2008 and my book deal in 2009. Give yourself five, ten, twenty years – or whatever it takes. I don’t share all this to be discouraging. Books by debut authors are published all the time so it can happen – just not as quickly as we’d like. The funny thing is…I never thought of quitting. I love to tell stories. It’s what I’ve done since I was a young girl weaving epic sagas for Barbie and Ken. Whenever I received a rejection letter, I told myself that was just one step closer to publication. I recently tallied the stories I’d written since I moved to the UK nine years ago. I have started eleven novels and more than forty short stories. 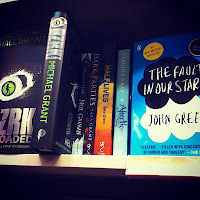 All these tries and failures led me to where I now ecstatically reside with my new novel Half Lives and my debut novel Dark Parties shelved between Neil Gaiman and John Green. So keep the faith. Try and fail and try again and again and again. And if you are a member of SCBWI living in the EU, write fiction for children/teens, and are un-agented and unpublished – enter Undiscovered Voices. All the details are at www.undiscoveredvoices.com. I would love nothing more than to see you at the Undiscovered Voices launch party next February and introduce you to absolutely as many agents and editors as I can. 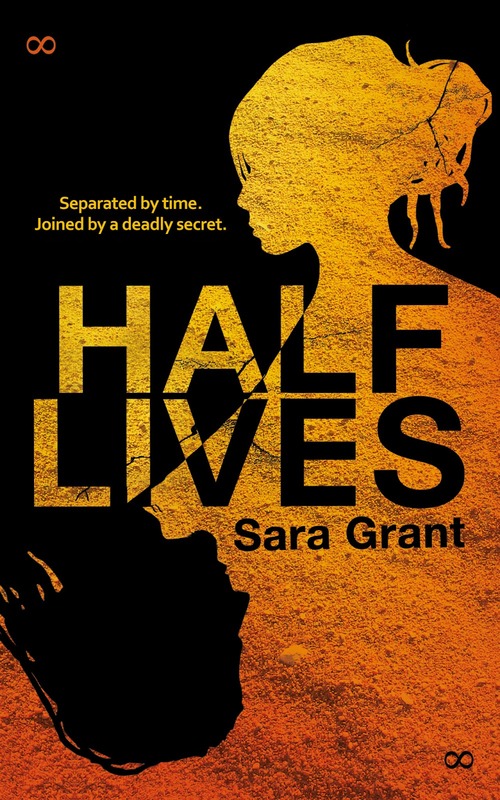 Sara’s second novel for teens – titled Half Lives – was published 2nd May as was the third book in Magic Trix – her new funny series for younger readers. Find out more about Sara and her books at www.sara-grant.com. Sara and her agent Jenny Savill are giving day-long workshops on revision 15th June and 2nd November. 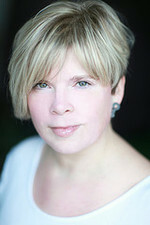 Visit http://www.sara-grant.com/writers-workshops/ for more details. Great post. A boost for fledgling writers like me. It is like raising a child. It's a long, hard process, but I wouldn't want to give up on something that I love. I have to agree with you there, Kathy. It's tempting to splurge out "the story so far" but until there's a feeling of resolution to it, perhaps it's best to concentrate on business as usual. You and me both, Kathy. I'd be very proud to be on the book shelf next to Sara Grant. Franklin - Grant. It's possible. Thanks Sara for always being so generous with your support and solidarity for struggling writers. Great stuff, Sara, and very cheering. If the brilliant author of Dark Parties had to wait for success, there's definitely hope for others! I will be sharing this with my Writing Group, Sara. Everyone feels negative at times - I also wrote for years without getting anywhere, but if we keep writing we keep learning and and then one day a magical thing WILL happen. Thank You so much, Sara. ALL respect to you for your work with Undiscovered Voices given your experience with the Goldfish Anthology - I'm not sure I could have taken the risk again. This really moved me. Being published has been another roller coaster but I now know that not writing is not an option. The trick is to not dwell on the rejection endemic at every level of the process. Dwell on the joy. Thank you Sara for changing my life. Btw I'm going to have to come between you and Neil Gaiman.